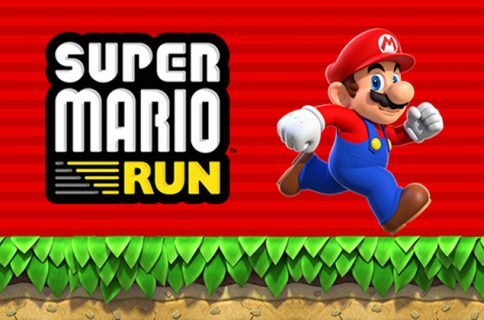 Japanese video games giant Nintendo is surveying Super Mario Run players via email about various aspects of the game, MacRumors reported Thursday. 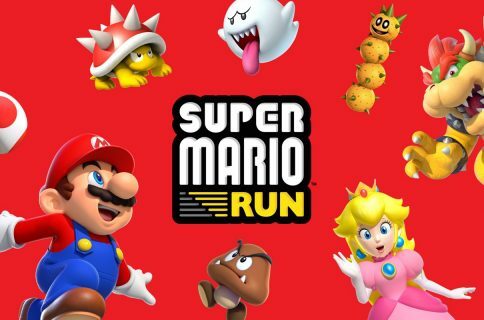 The company wants to know how much players would be willing to pay for a premium experience like Super Mario Run and if they would be interested in playing a sequel. 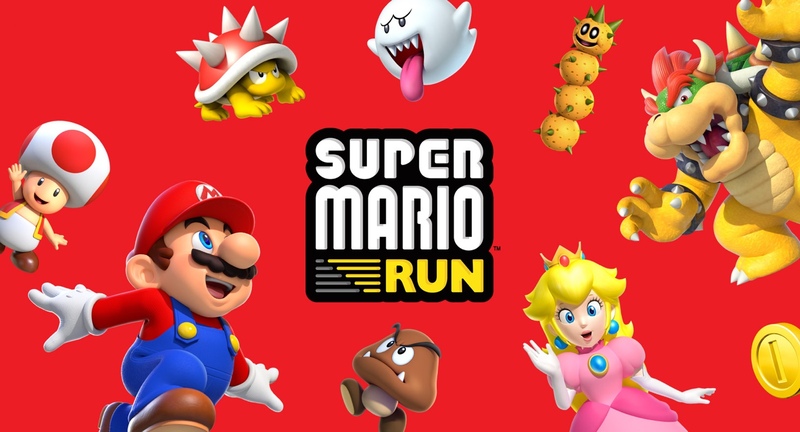 The ten-minute survey was sent via email to a subset of Super Mario Run players who have linked the game with their My Nintendo account. 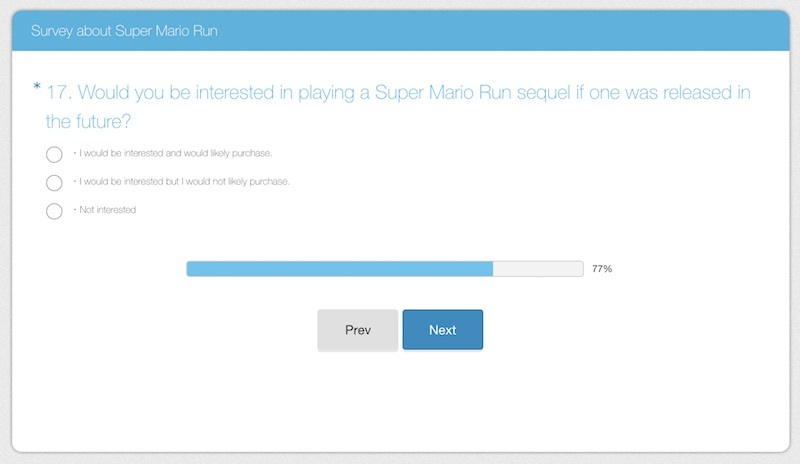 “What is the most that you would pay for the full game like Super Mario Run?”, asks one of the many questions in Nintendo’s survey. Another one asks players if they would be interested in playing a Super Mario Run sequel if one was released in the future. It’s unclear if a sequel to Super Mario Run sequel is already in the works or not. For what it’s worth, Nintendo is said to be gearing up to release Animal Crossing and Fire Emblem for iOS by Spring 2017. Those upcoming releases are thought to incorporate the freemium model with In-App Purchases. Nintendo’s survey could be interpreted as a reaction to the fact that people who are accustomed to freemium downloads or 99-cent titles have slammed Super Mario Run in App Store reviews, rating the game a 2.5/5 on average. I understand that for some people ten bucks may be a lot of money to drop on a mobile game. But Super Mario Run is no ordinary game. Aside from being Nintendo’s first truly mobile game, it’s an official Mario game even though your character runs automatically and you don’t get to explore the scenery as you might like to. I have been playing Super Mario Run since its App Store debut. To me, it’s anything but another endless runner. The three distinct gameplay modes extend longevity beyond the initial batch of levels. And if you’re serious about collecting as many coins as possible to build out your Kingdom, you will need to play each level at least three times, if not more. It’s one thing to whine about the game’s requirement for a persistent Internet connection, but pricing criticism is not entirely justified, if you ask me. It’s disappointing that so many people are being cheapskates when it comes to such a high-profile game from the iconic company that brought us the beloved Mario franchise. What are your thoughts on Super Mario Run pricing and Nintendo’s survey?